Web Spray Adhesive has a quick tack with a thick heavy 'web' spray pattern. Ideal for grass mats and large surfaces. Recommended for Silflor Grasses and Materials, Prairie Tufts and Pathways, foliage fibers, tree foliage and fast tack for vertical surfaces. The pattern is a flat spray versus a "cone shaped" spray as you would get with a spray paint or other spray adhesives. This allow greater accuracy and concentrated application. 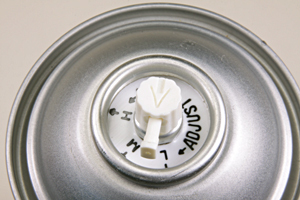 Web Spray can features the unique "Regulator Spray" Nozzle By turning the nozzle to Light, Medium or Heavy, the width of the spray stream increases or decreases. This allow for extreme accuracy when you need to apply a fine or heavy amount of adhesive. **Please Note: This item is prohibited from shipping to countries outside the U.S.A.